"I can confirm that although the patient passed on at Nairobi Hospital, she was only brought there because of complications which arose from a procedure done by the three doctors at their facility," said Dr Christopher Abeid of Nairobi Hospital. 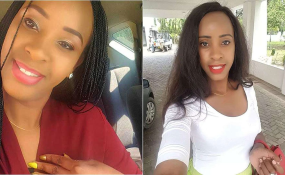 According to Nairobi Hospital, the disciplinary proceedings filed before the medical board by Mr Joseph Mulupi, Wanza's widower, were appropriate. "I believe that if indeed the three doctors had genuine concerns they would have raised them at the inception of the inquiry and not at this point, I believe it was premature for them as they had not exhausted the effective dispute resolution mechanism established by the medical board," said Dr Abeid.